Consequent upon successful conduct of written test (Paper I & II) amongst eligible candidates in terms of this office Advertisement No. 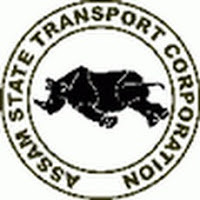 ASTC/MD/ Ho/1546/17/0027 dated 12-04-2017 inter alia in connection with recruitment against the following posts, the Interview will be held in the office chamber of the Managing Director, Assam State Transport Corporation as per date mentioned against the post. All the short listed candidates as already published in the ASTC's official website are requested to attend the interview as per schedule mentioned above. Venue of Interview: Office of the Managing Director, Assam State Transport Corporation, Patribahan Bahawn,Paltanbazar, Guwahati-781008.